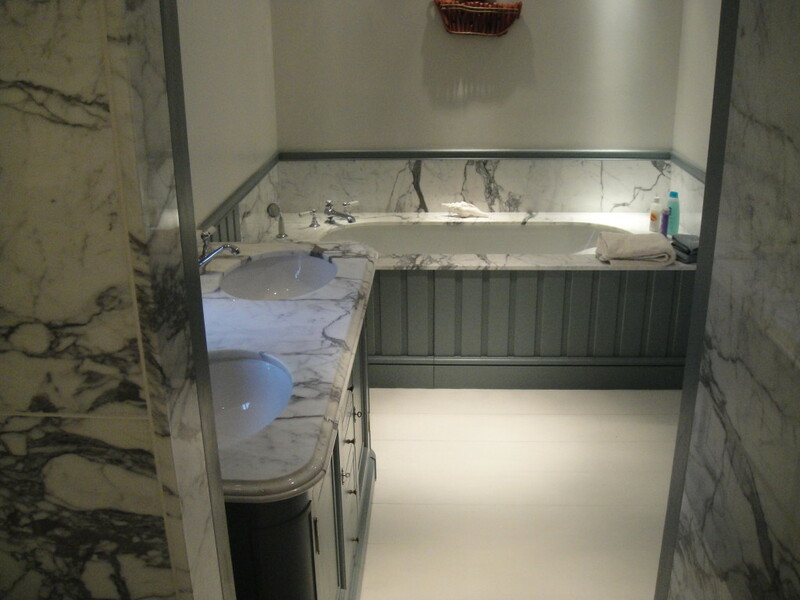 Trelasker Farm was a high end cottage renovation project on a large estate on the outskirts of Tregony in Cornwall. 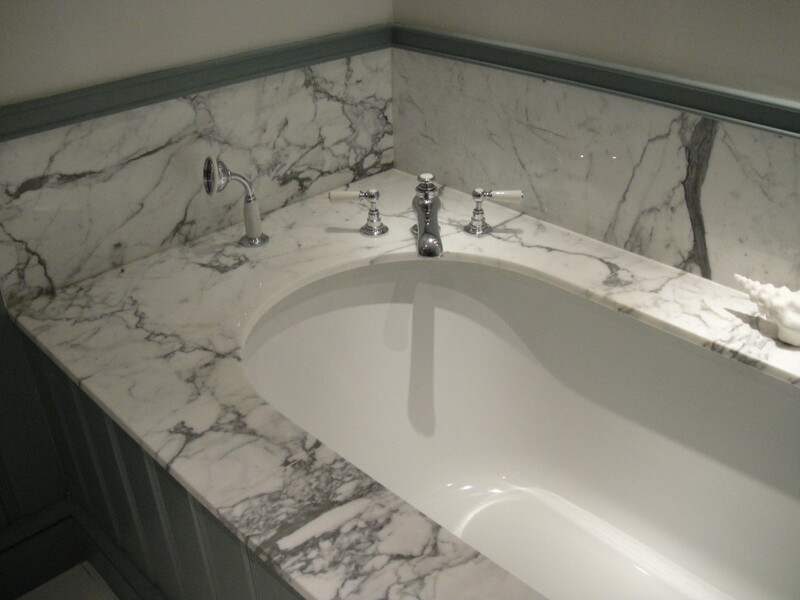 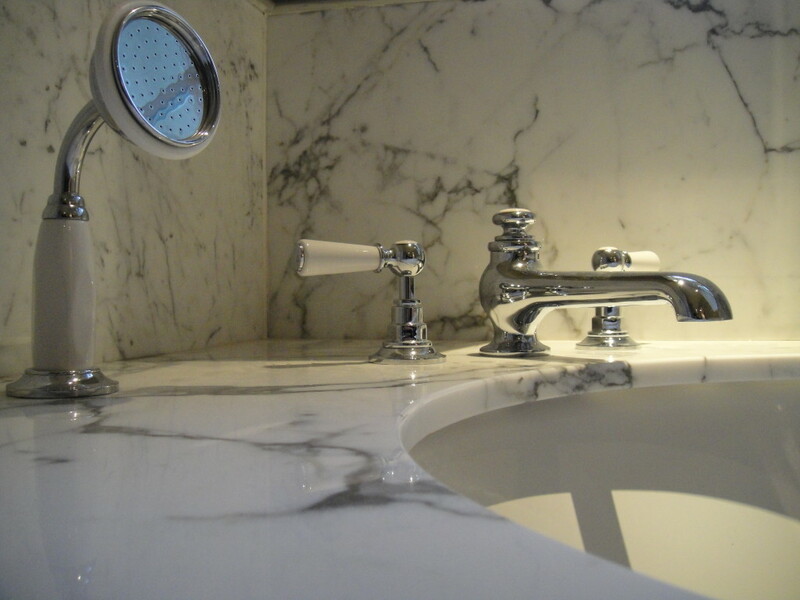 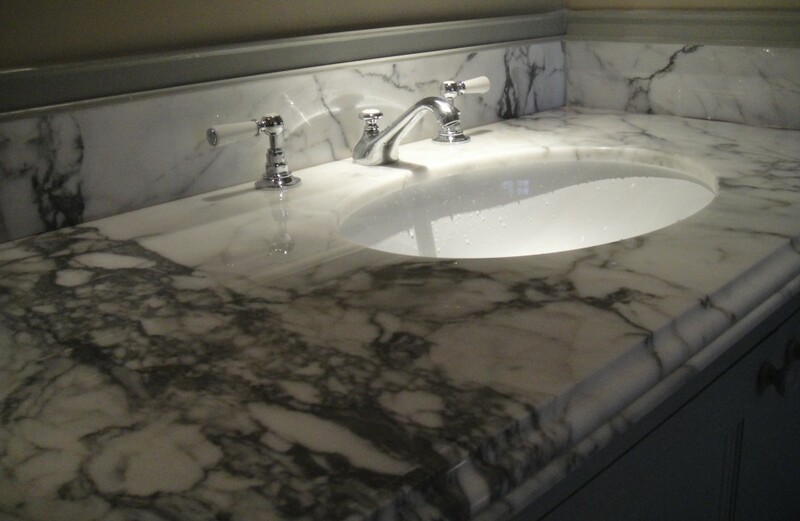 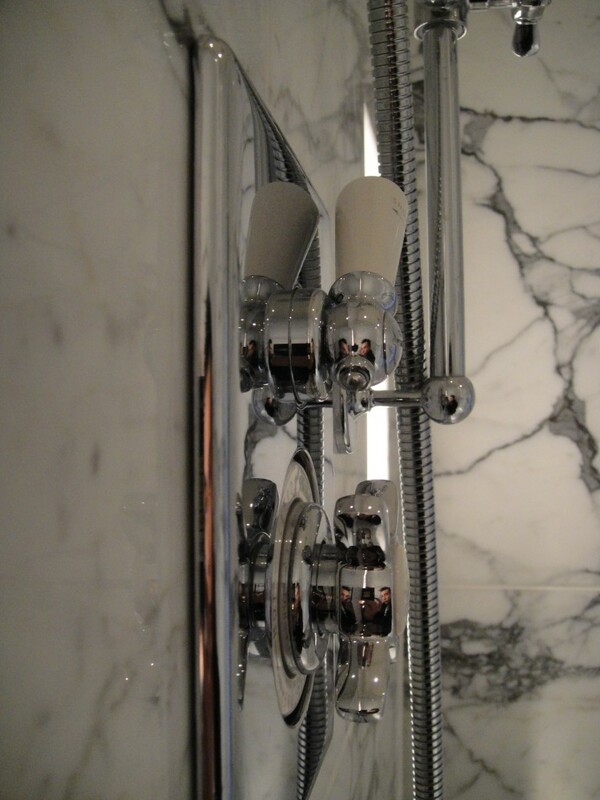 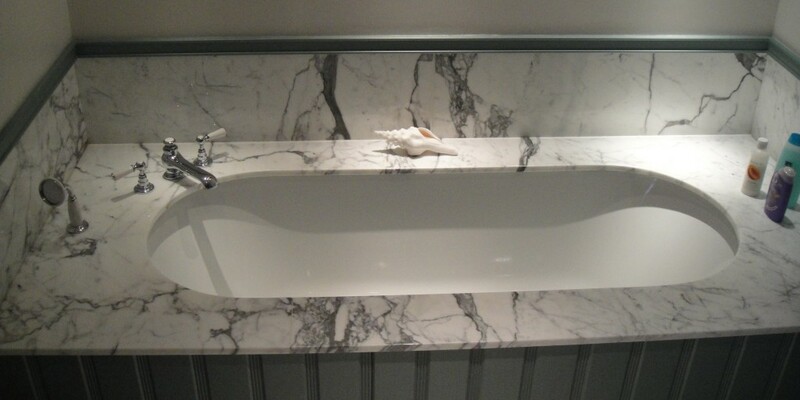 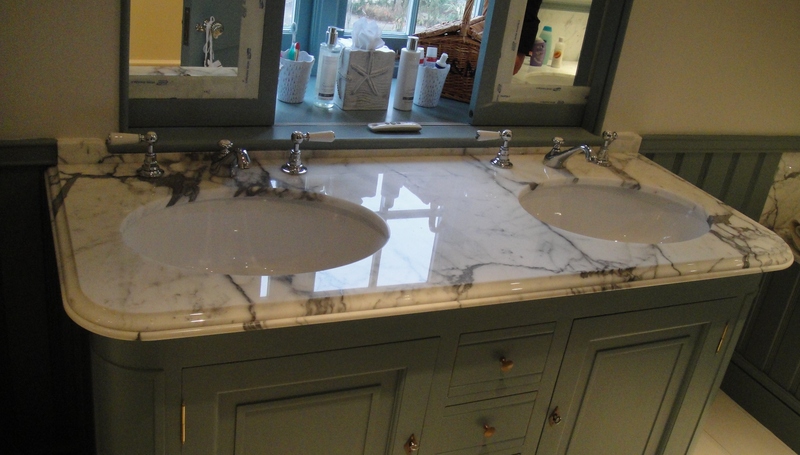 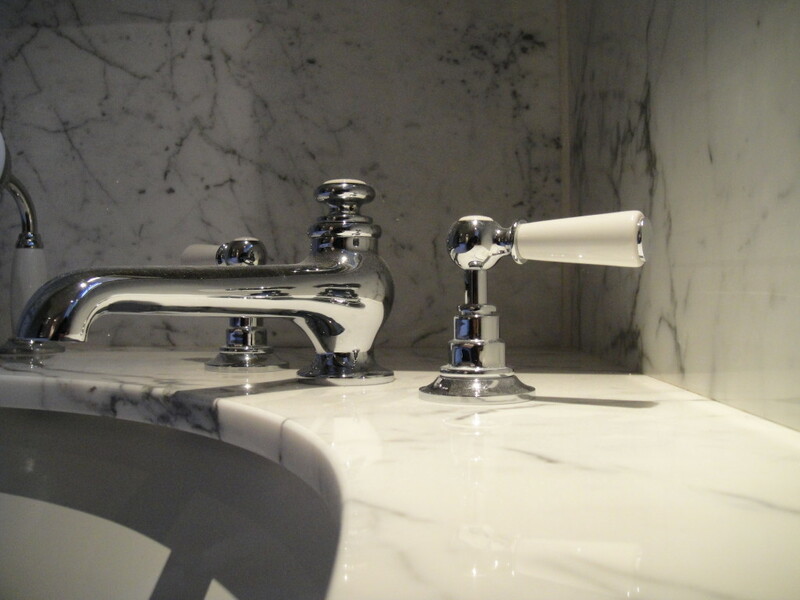 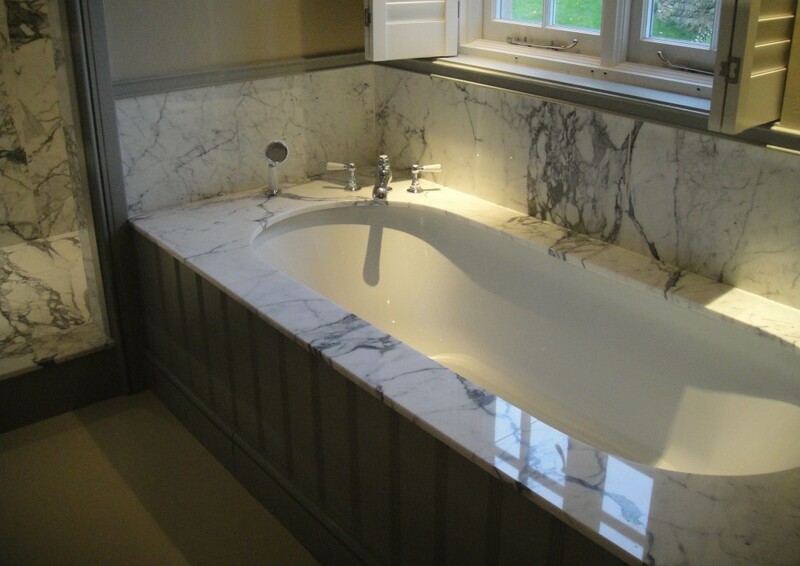 We were asked to find a suitable marble that could be used in three bathrooms as shower wall cladding, bath surrounds and splash backs and vanity tops. 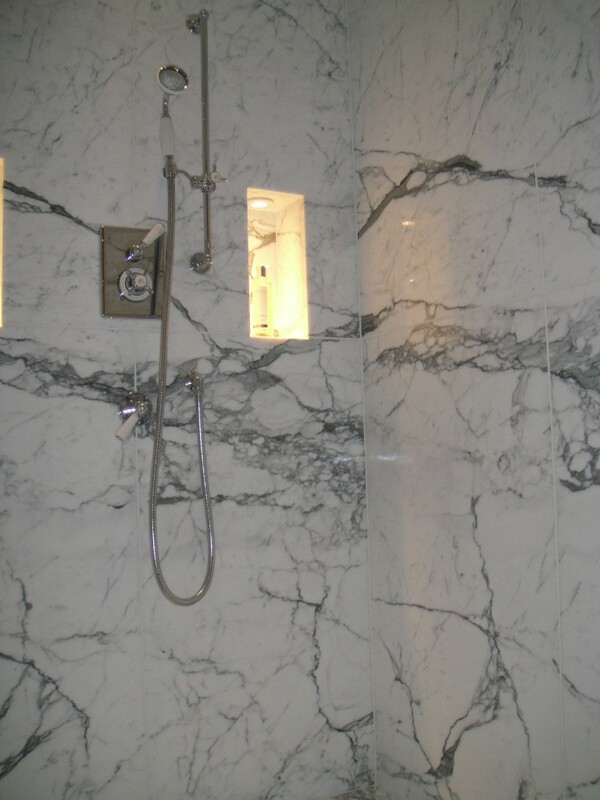 After various discussions about what type of marble to use, and what marbles were available in what size slabs etc, the clients ended up choosing a white Italian marble with a very distinct vein, known as ‘Statuario’ marble. 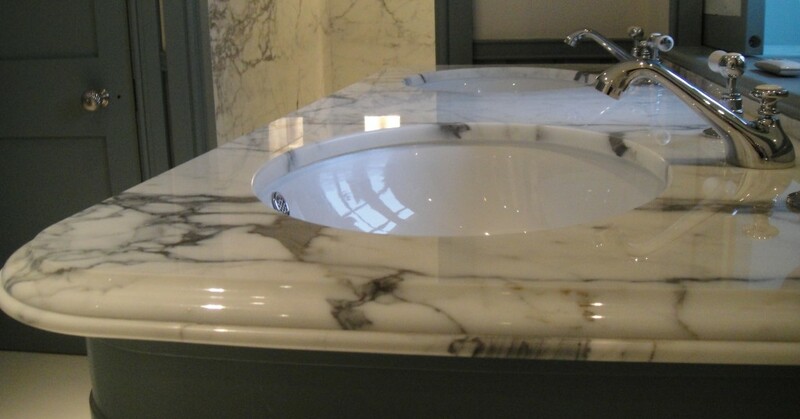 Statuario Marble Bath Surrounds We created templates for both bath surrounds and fabricated/supplied them in three pieces per set. 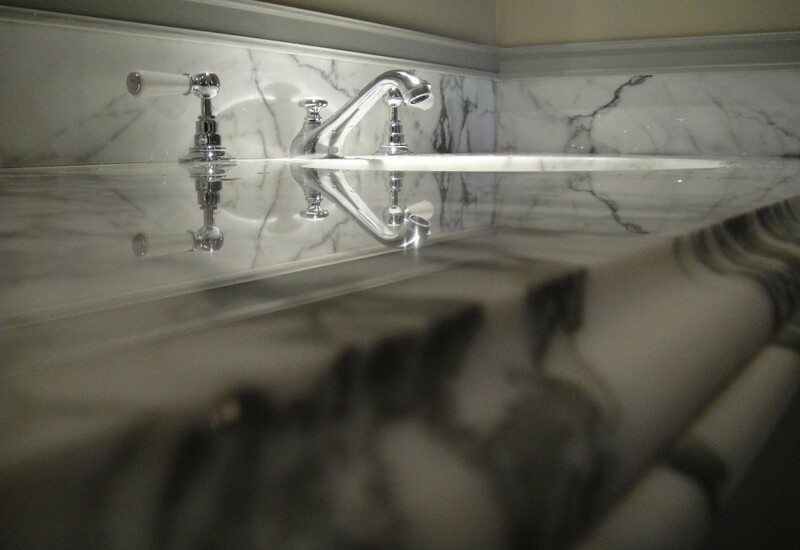 We also created templates for the splash backs. 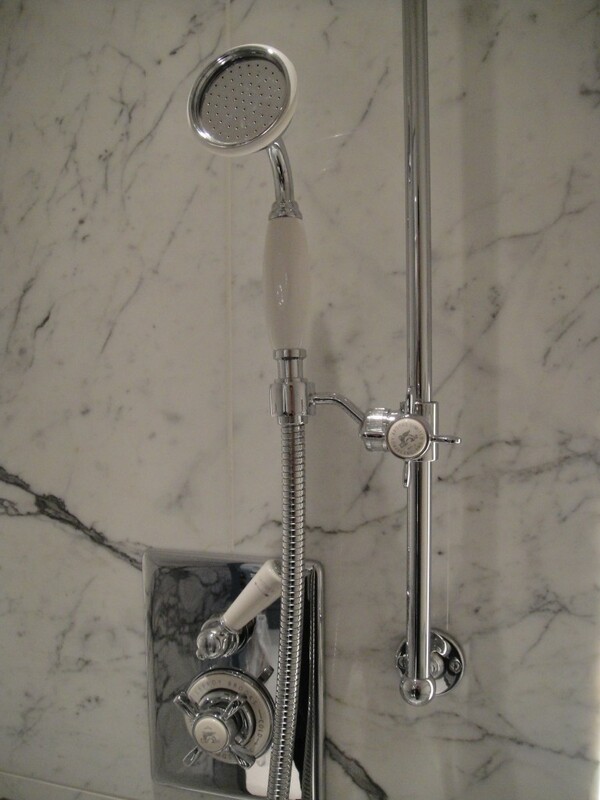 Both surrounds had separate taps, spout for water, hole cut out for a shower head/hose and a simple pencil round edge profile. 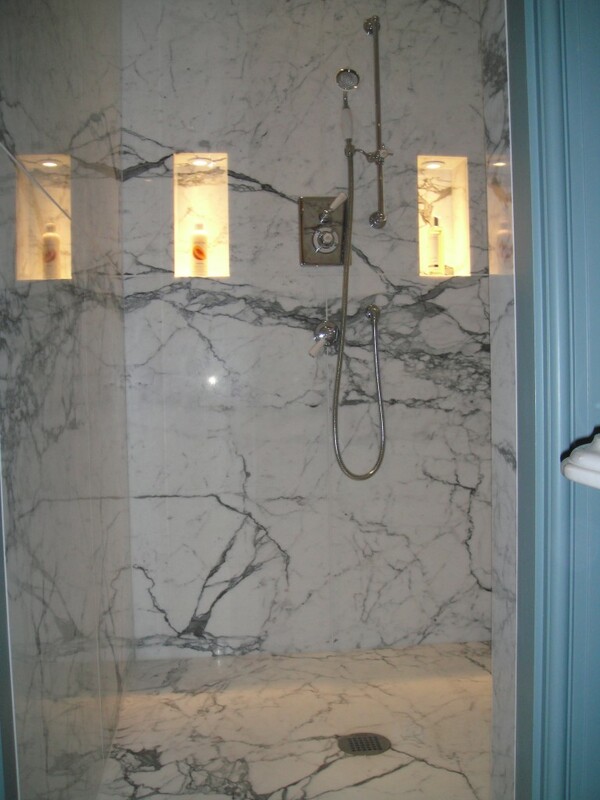 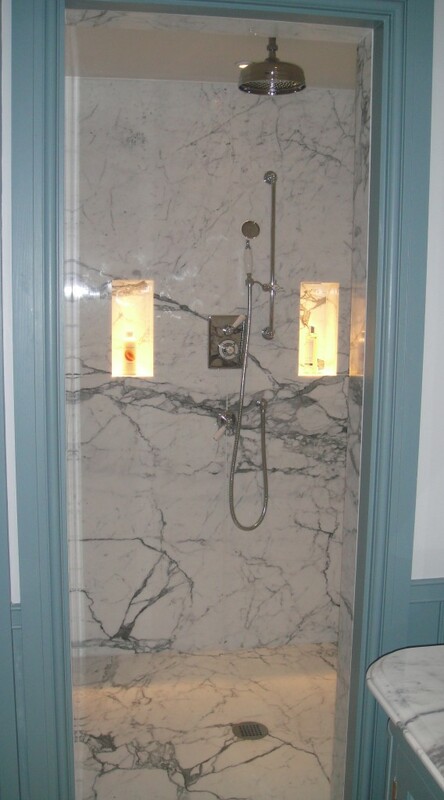 Statuario Marble Shower Enclosures As you will see from the photo’s below, the two shower enclosures that we clad in marble were completely enclosed apart from a door opening. 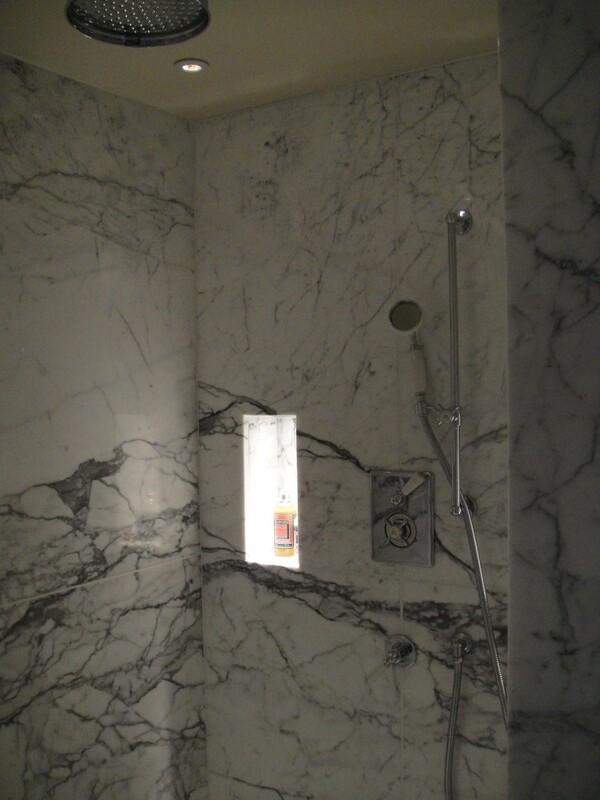 The confined space makes the installation process a little tricky and so we decided to template all the walls internally. 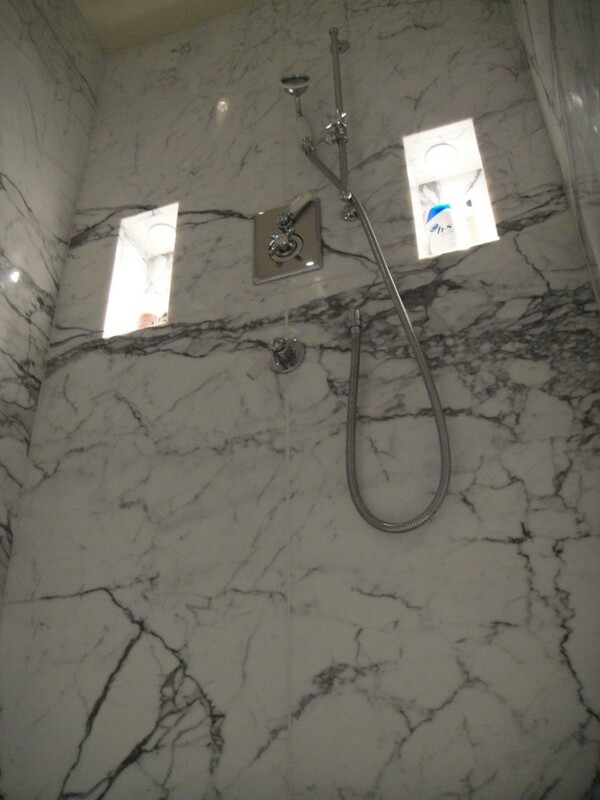 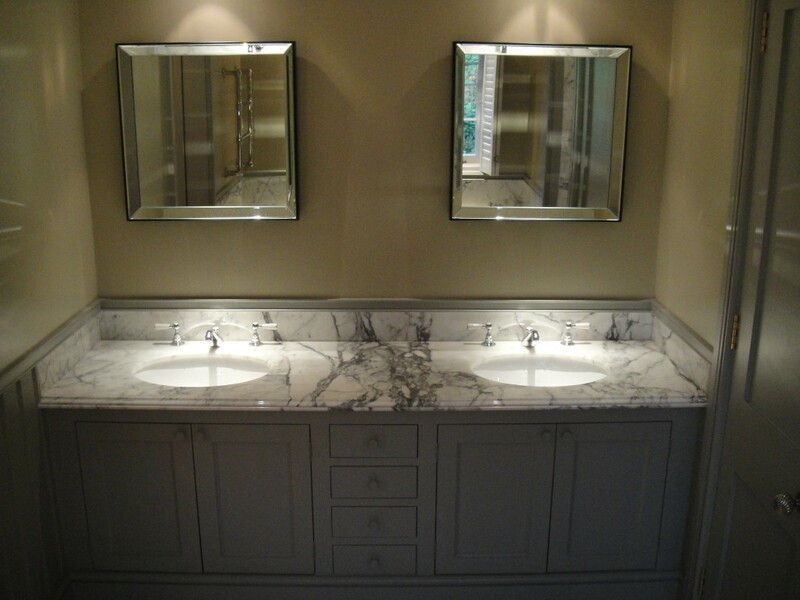 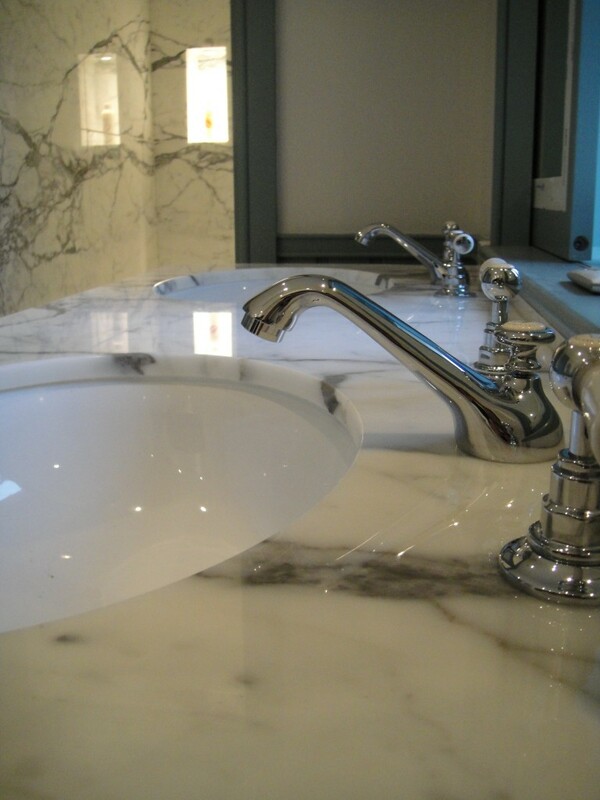 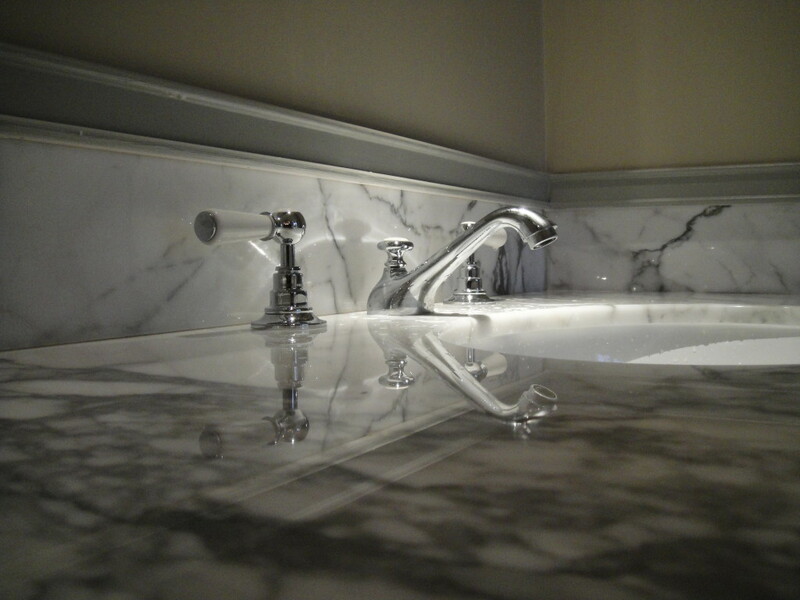 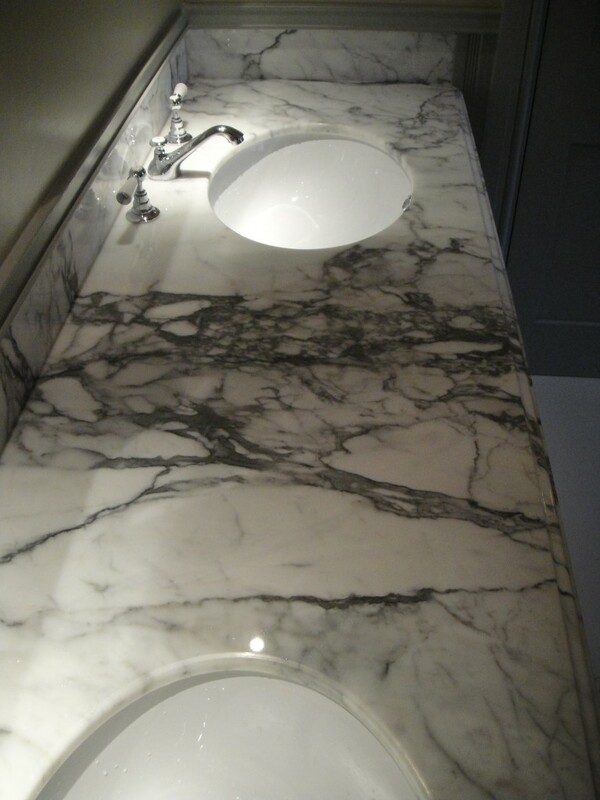 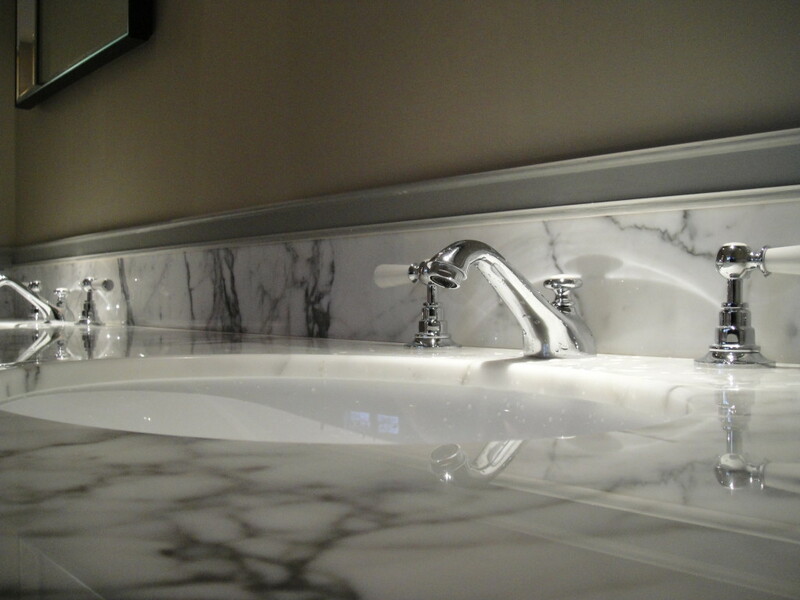 We used the widest slabs of Statuario marble that we could find, enabling us to cut each wall out of a full slab. 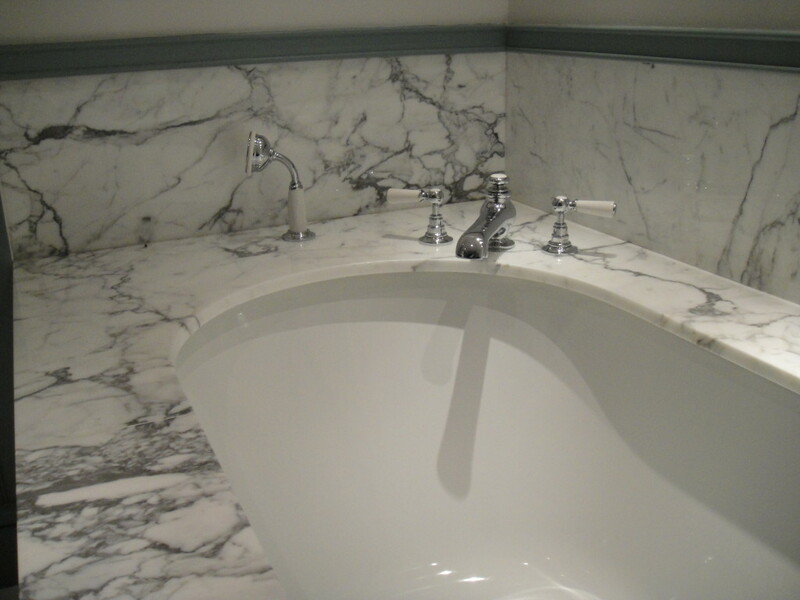 The pieces of marble for each wall were cut into four pieces, allowing for a more simple installation. 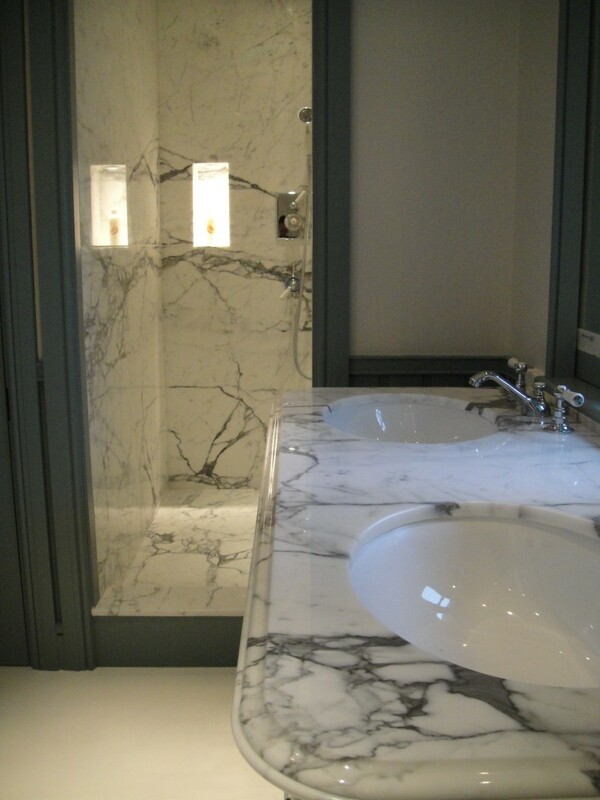 You will also notice that we created small shelves within the walls which were clad and had down lights in the ceiling of each shelf. 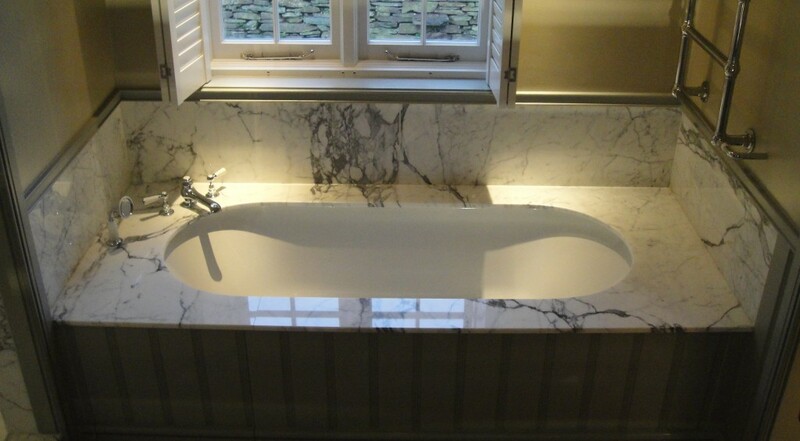 Statuario Marble Vanity Tops Both marble vanity tops that you see below have been fabricated using 20mm thick Statuario marble, but we have adhered a 10mm piece on the underside at the front of each vanity top, this enabled us to create a standard OG edge profile on the top piece and a simple full bull nose edge profile on the bottom piece, which in turn creates a beautiful OG bull nose.